If you need it printed in a hurry, but you can't sacrifice quality, then you’ve come to the right place. Our standard turn-around time is 5 to 7 working days to your door! And because we're NOT a gang run printer like everyone else online, your job, no matter how small, will be printed by itself to ensure the best color every time. That's why the biggest names in the business trust us with their projects. You'd have to spend a lot more money to get the same service from anyone else. We Guarantee 7 to 10 days to your door, and if you need it faster, we can print and deliver in as little as 3 working days! 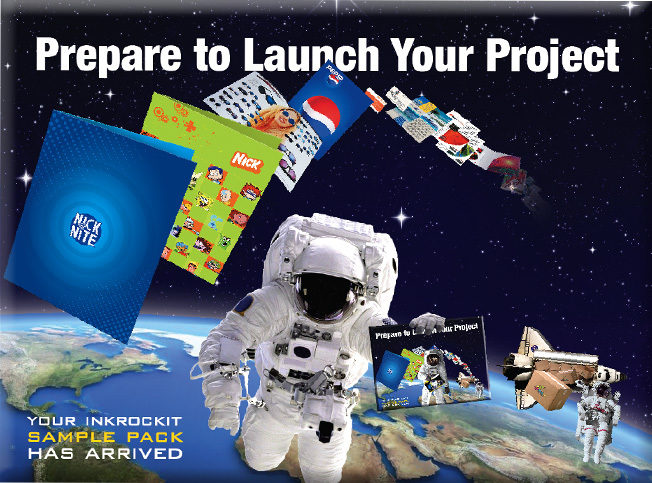 Need a design that will help you make the sale, book your band or get your product placement? Let our award-winning creative team develop a design solution for your print collateral, website,multimedia presentation, or brand identity. * Just a one-time $180.00, up to a 19" x 16" flat sheet size. Add $170.00 for 100, 250 or 500, Add $210.00 for 1000. Add $100.00 for all listed quantities. 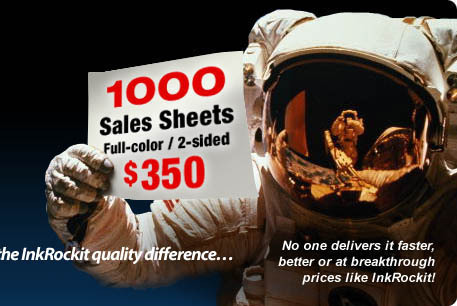 Add $250.00 for each additional PMS color for all listed quantitie (excluding metallic colors). ** Projects begin upon receipt of: (1) a 50% deposit AND (2) either camera-ready art OR signed approval of proofs. Deposits may be made by VISA, MasterCard, American Express, approved company check or PayPal™.